Knowing and focusing on one’s customer is key for being successful in the market. This starts with a well-organized and focused marketing and sales approach. 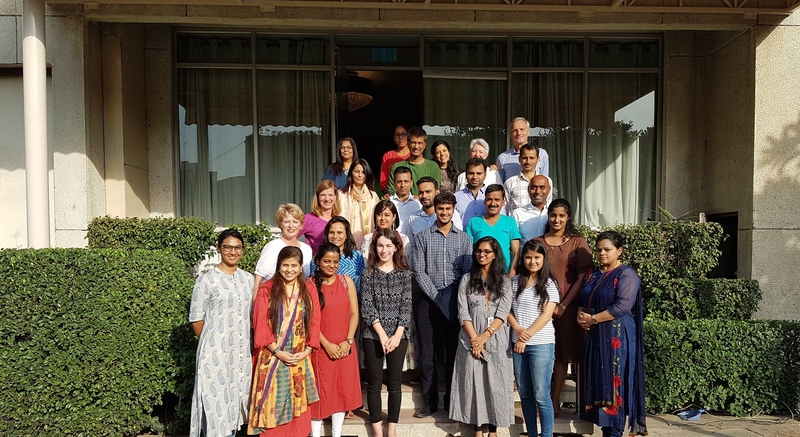 That is why Women on Wings organized a Customer in Focus Summit for 14 of its partners on May 25 and 26, 2018, in Gurgaon. A growing body of evidence illustrates that advancing women’s economic empowerment has multiplier effects across the spectrum of development and is central to achieving gender equality. The ultimate aim of the Summit is that the business partners grow their companies and will sell more products so that more employment opportunities for women are created. Women on Wings’ business partners provide work to women in rural India. The high level of practical and theoretical learning in this Summit made the participants request Women on Wings to organize these Summits more frequently. A wonderful side effect of the Summit is that the social enterprises, which are from different sectors but face a lot of similar challenges, experienced they can learn from each other. They formed a WhatsApp group to stay connected and share best practices, also post the Summit. This Summit was made possible thanks to financial support of EXIM Bank of India. EXIM Bank believes in sharing knowledge as a tool for development and even brought more support. The participants learned all about how their companies could benefit from the bank’s new financial tools in a presentation by Mr. Prasad Dabholkar, Chief Manager at EXIM Bank of India. Some of Women on Wings’ partners present at the Summit are already client at EXIM Bank, so that came as a confirmation of the bank’s services and impact on the social enterprises.